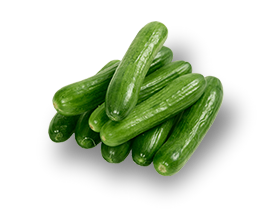 We offer cucumbers from April till October. Packaging: 5 kg boxes. 25 kg raschel bags for processing purposes.